King Door and Lock Maryland and DC is the lock and door company you can depend on for superior lock installation Harford County, MD solutions that features lock rekey, repair, installation, and more! 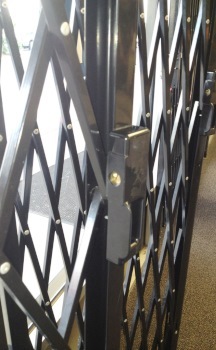 We offer a full and comprehensive lock service with transparent pricing. Our expedient and efficient lock technicians are available ’round the clock and can address your lock and door needs. Our lock technicians replace garage door locks, locks for offices, and house locks, and utilize only knowledgeable lock technicians that possess a minimum of 5 years of experience in lock installation and repair. We take advantage of the best and newest technologies and tools and deliver expert craftsmanship when it comes to replacing and fixing your locksets. King Door and Lock Maryland and DC is recognized for exceptional lock installation Harford County Maryland service. You can expect to feel like a royal as a result of our priority of 100% customer service. Whether your security and safety needs are for your household or office, we’ll provide the best possible safety measures. Our fast and friendly, expert lock technicians can come to your dwelling or business to check your safety measures and recommend further protection that will supply you with the ultimate degree of security for your commercial or residential property. We work with some of the most skilled workers in the industry, each well-versed in complete lock solutions, door hardware, and the very best locks to meet your security needs. We offer the most effective locksets and up front prices. King Door and Lock Maryland and DC features garage door lock replacement and repair to home-owners in Harford County and even services commercial garages. We supply friendly and fast service, 24/7 availability, and up front pricing. Our technicians are seasoned, knowledgeable, trustworthy professionals keeping your safety and well-being in mind. Renowned for reliability, King Door and Lock is the respected garage door lock professional in Harford County MD. Whether you have a metal or wooden garage door, our expert technicians are able to install, repair, or rekey your rim cylinder lock or mortise lock. You can also e-mail us for a free quote! For lock installation Harford County Maryland services, no matter whether commercial or residential, simply call King Door and Lock – the safety pros using the latest technology, experienced lock technicians, on call 24 hours a day, 7 days a week, 365 days a year. 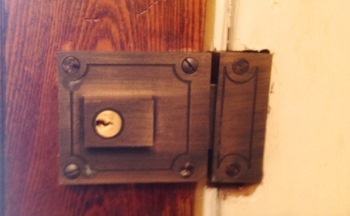 Qualified Lock Replacement and Repair in Harford County Maryland! 24/7 Lock Installation Harford County, MD Service by King Door and Lock https://kingdoorandlock.com/maryland-lock-installation/harford-county/ 4.0/5 based upon 26 reviews.